At the beginning of last school year, I developed a series of anchor charts that went along with Journey’s 1st Grade Units 1-6. I went with bright primary colors to go along with my Dr. Seuss theme. Each poster introduced the spelling pattern for the week. I placed the poster on my focus wall for the week, then moved it to my LOOK wall for later reference for the students. This is a view of my focus board using the short a phonics poster. 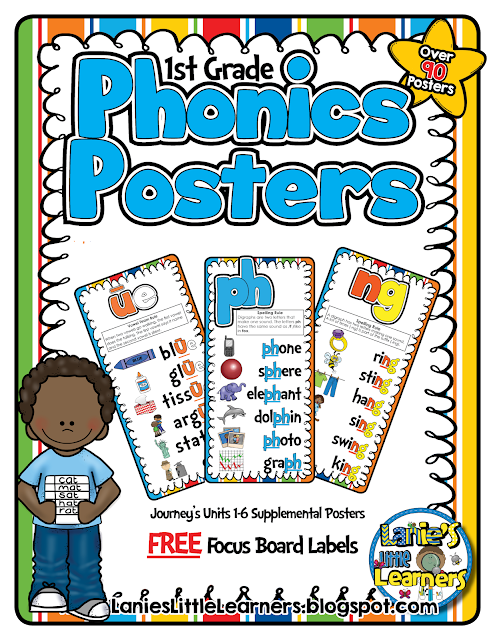 FREE Focus Board Labels and 3 FREE Phonics Posters!!! Download the preview to claim them!!! 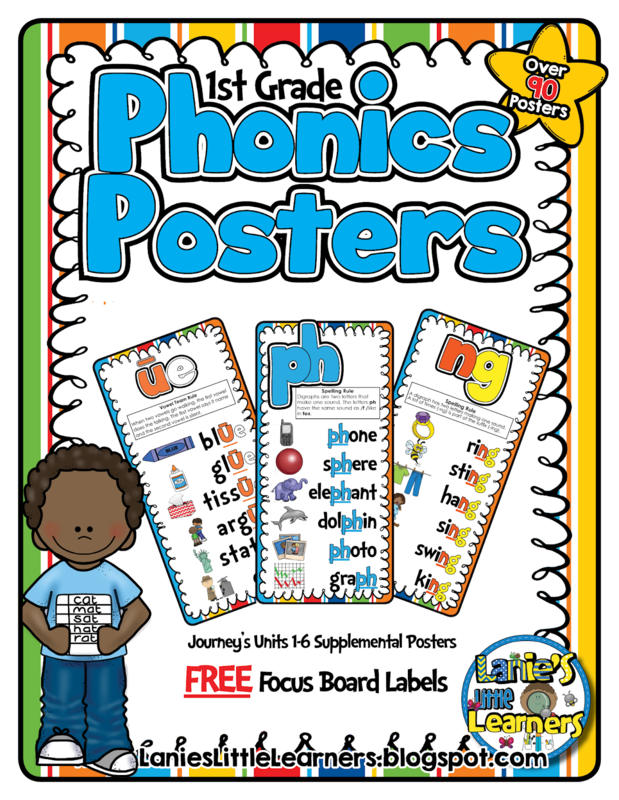 Over 90 phonics posters to use when introducing the spelling pattern for the week on a focus board. 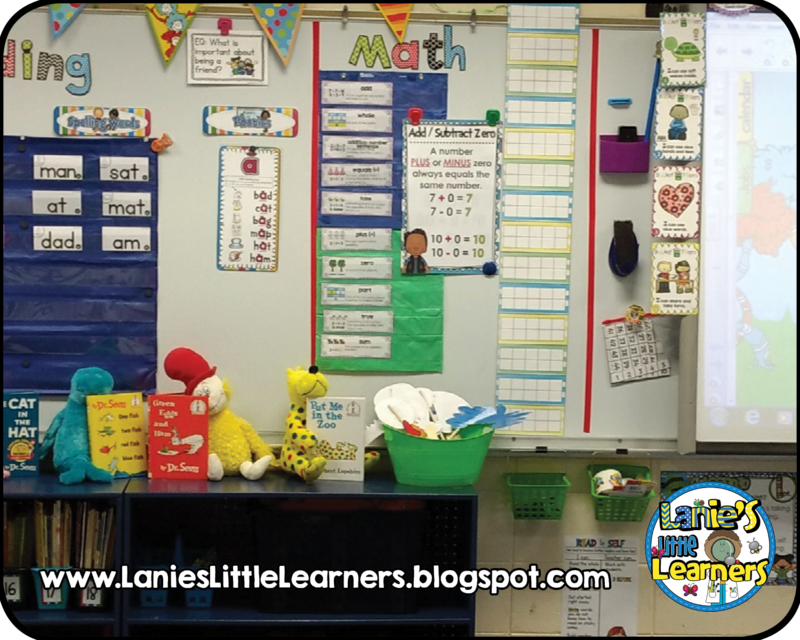 Bright primary colors compliment a color, circus, or Dr. Seuss themed classroom. Directions: I have included (3) different print sizes for you to use. Each poster will print one per page on the following paper sizes: 8.5 x 17, 8.5 X 14, and 8.5 x 11. When printing choose FIT to ensure image will fit on the paper size selected. I printed the 8.5x14 size in color, trimmed, and then laminated for durability. Supplemental Materials: Teacher created supplemental materials based on Journey’s First Grade reading series. 1RF2: Demonstrate understanding of spoken words, syllables, and sounds (phonemes). a. Distinguish long from short vowel sounds in spoken single-syllable words. words. c. Know final -e and common vowel team conventions for representing long vowel sounds.